"Forum : Vol. 24, No. 02 (Fall : 2001)" by Florida Humanities Council., Mark Derr et al. Contents: Humanities Alive! News of the Florida Humanities Council â€“ The Florida Gathering at DeLand: A Small Town Oasis / Author Mark Derr explores the origins of -- DeLand and its strategy for survival, Photography by Gary Monroe -- $upporting Quality of Life: Volusia County voters decided $160 million isnâ€™t too much to pay for enhancing their historical and cultural identityand safeguarding the environment -- Your Invitation to the Gathering -- A â€˜Metaphysical Meccaâ€™: Cassadaga is a bucolic, rustic place steeped in the atmosphere of moss-draped live oaks and spiritualist meditation -- The Last Word / Scholar Gary R. Mormino muses about Floridaâ€™s phenomenal growth and how it should be managed. 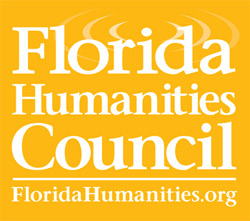 Florida Humanities Council. ; Derr, Mark; Monroe, Gary; and Mormino, Gary Ross, "Forum : Vol. 24, No. 02 (Fall : 2001)" (2001). Forum : the Magazine of the Florida Humanities Council. 32.